This was true when Alister first published this book in 2007 but it is even more true today. This paragraph provides a very good description of the world in which I live. It is becoming harder to stand up as a Christian. Although this isn’t a completely new development. It was true in the early 20th century, it was true as I grew up, and it is true today. But there is also little doubt but that the trend is intensifying. The assault on Christian faith is significant. But there is a new development, or at least a development that seems new to me. The aggressiveness of the secular culture is magnified in response to the image that Christians have in this culture. Christians, especially conservative Christians (evangelicals and/or fundamentalists) are viewed as a judgmental and negative people with a conservative political agenda, who feel the poor and alien deserve their fate, justify violence, oppress and harass women, hate gays, fight among themselves, distrust scientists, use deceit, dishonesty, and lies to get their message across, and often do it for personal gain – either money or power. This is a bit of an overstatement – I have not met anyone who gives all of these reasons, most are focused on only one or two. But there is still a real image problem. And frankly, there is ample ammunition for many of these views. I originally wrote this post in 2012 and six year later the situation has grown significantly worse. Unless Christian response changes, I don’t see it getting better any time soon. I have been asked how I can be a Christian, and the conflict between science and religion, belief in the supernatural, is part of the question – but it isn’t the biggest issue. The bigger issues are those related to oppression, especially what comes across as oppression of women or arrogant disregard for the downtrodden and displaced (including the widow and orphan and the foreigners among us). How can I be a Christian? The correct answer, I suppose, is by the grace of God through the power of the Spirit. I think this is true – but it isn’t the whole story. The whole story has to be fleshed out by the details – and the details include the the church and the mission of the church. Frankly, unless the church returns to the Bible it will continue to get worse. Start in the Old Testament where concern for justice and mercy, including concern for the poor, including the widow and orphan and the foreigner is prominent. The prophets make this abundantly clear, although it comes up in other places as well (like Exodus). Micah 6:8 is a good summary. This is softened a little later in the New Testament, I think because call isn’t to radical poverty, but to radical love. Love of wealth hinders, even prevents, love for one another. When we care more about preserving our way of life than we care about the basic needs of others, we fail to love. And now a slightly different set of directions – but related to those above. If we really took the Bible seriously, believed what it says, and acted on it, Christianity would have a much better reputation. Frankly, I think I am a Christian today because many of the Christians I knew growing up thought these verses and many others like them were to be taken seriously. Although everyone failed at them more or less often, as far as I know every one of them thought this was the ideal toward which we should aim. 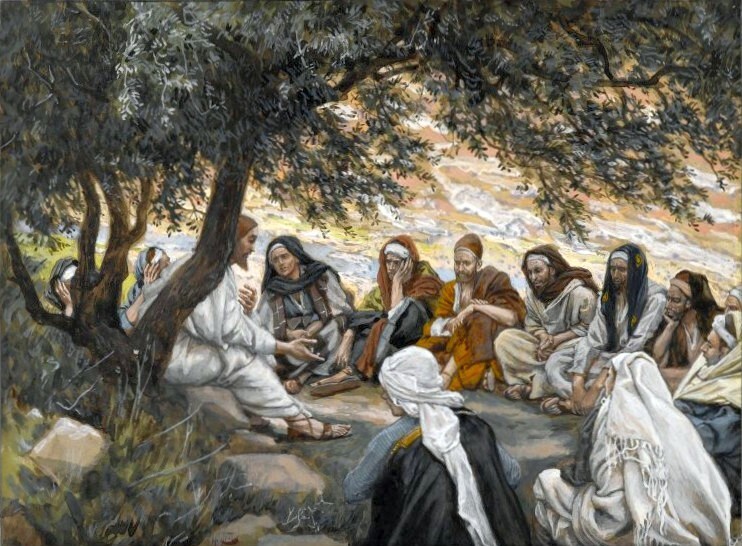 It is probably not a coincidence that the vision statement of this church was “a church with a mission to care.” It wasn’t at the expense of theology, or at the expense of evangelism, but as a conviction that without love for one another all our theological precision, our faith, our speaking, and even our giving, is for nothing (1 Cor 13). You may also comment on Our Biggest Stumbling Block at Jesus Creed. This entry was posted in Christian Life, Problems for Faith. Bookmark the permalink. Amen! Evangelical was once a term used to describe a thinking Christian. Today, it means just the opposite. It describes a close-minded individual who is largely ignorant of what it means to be a follower of Christ.